TUALATIN, Ore. - April 13, 2018 - PRLog -- Join Lennar for the highly-anticipated Grand Opening of Sagert Farm on Saturday, April 21st. Tour the stunning model homes from 12 p.m. to 4 p.m. and discover Sagert Farm, a close-knit community of beautiful new home designs situated in the small but vibrant City of Tualatin. Prospective homeshoppers are encouraged to attend the Grand Opening and enjoy complimentary treats, refreshments and model tours. "We're ecstatic to be Grand Opening Sagert Farm, a community whose name pays homage to the area's history—the land belonged to the Sagert family for more than 100 years," said Sia Howe, Marketing Manager for Lennar Portland. "At Sagert Farm, you'll find new homes designed with modern open floorplans, enviable master suites, gorgeous kitchens and Lennar's Everything's Included® features and our new Wi-Fi CERTIFIED™ home designs at no additional cost." Eight floorplans will be available at Sagert Farm, convenient for homeshoppers of every size and type. Available floorplans range from 1,659 to 3,422 square feet on one- and two-story designs, including three to five bedrooms, two to three bathrooms as well as two and three-car garages. For families who require additional space for extended family, Lennar's popular Next Gen® – The Home Within A Home® design will be offered in the Bainbridge model. Prices start in the low $500,000s. 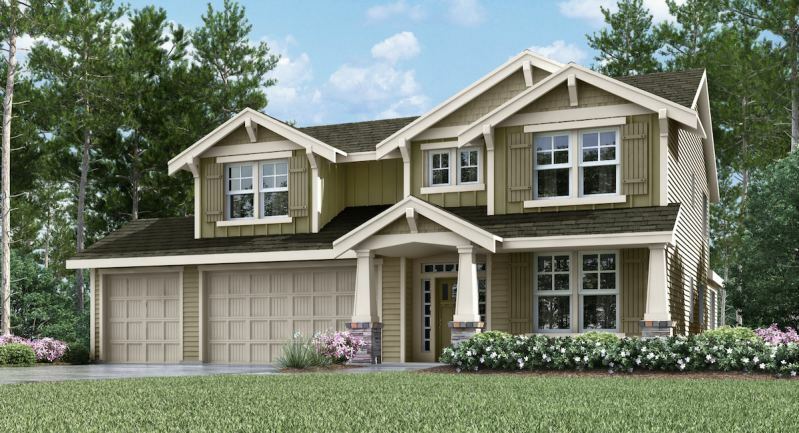 Sagert Farm (https://www.lennar.com/new-homes/oregon/portland/tualatin...) will feature Lennar's signature Everything's Included® program which offers added value to homes through a high level of standard features that are included at no additional cost. Such features include home automation products and technology, stainless steel appliances, granite kitchen countertops, high-quality cabinetry and so much more. Homes will also showcase Lennar's Wi-Fi CERTIFIED™ home designs that features a series of built-in wireless access points throughout the home that in turn provides seamless internet coverage in every room. The strong, consistent wireless service pairs perfectly with Lennar's included home automation to create a modern, connected and easier way of living. Stop by the Welcome Home Center at Sagert Farm located at 19977 S.W. 64th Terrace in Tualatin. For more information visit www.lennar.com or call 855-863-9948.